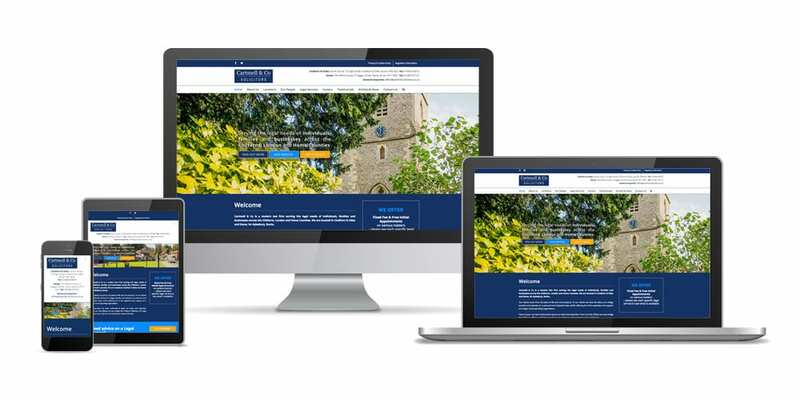 Cartmell & Co Solicitors is a modern law firm serving the legal needs of individuals, families and businesses across the Chilterns, London and Home Counties located in Chalfont St Giles and Stone, Nr Aylesbury, Bucks. We were comissioned to redesign their website so it had a much cleaner and more modern look, to better reflect their image. The site was built on the WordPress CMS, as was their previous site so they could retain the ability of managing their own content and posting their own news articles.